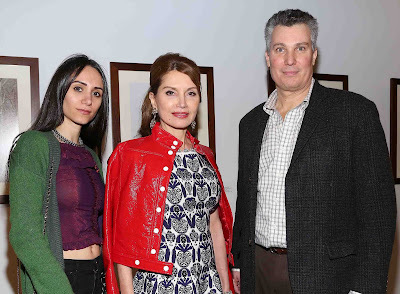 Jean Shafiroff hosted a wine tasting summer kickoff party recently to raise awareness for Southampton Animal Shelter Foundation's upcoming Unconditional Love Gala on July 18th. Southampton Mayor Mark Epley and his wife Marianne came to the party at Southampton Center to show their support for the no-kill shelter and its successful spay/neuter initiatives. Animal lovers including Susan Allen, Clif & Raya Knight, Town Supervisor Anna Throne-Holst, Leesa Rowland, Larry Wohl, Consuelo Vanderbilt Costin, Sheila Rosenblum, Janna Bullock, Emanuele Fiore, Elaine Sargent, Dr. Kenneth Mark, R. Couri Hay and fitness trainer Louis Coraggio were among the guests who sampled wines from OneHope, Raphael, Palm Bay, Herbert & Rist and Fiol Prosecco. Southampton Animal Shelter Foundation Board President Jonathan McCann and Volunteer Coordinator Regina Martini spoke about the shelter's great works while Martin and Liz Shafiroff, Randi Schatz, Victor de Souza, Cheri Kaufman & Bill Sclight applauded. All of the guests in attendance got to interact with some of the adoptable puppies from the Southampton Animal Shelter that were on-hand and in search of loving homes.